Having an entrepreneurial mindset is becoming even more important as digitalisation increasingly impacts the world of work. 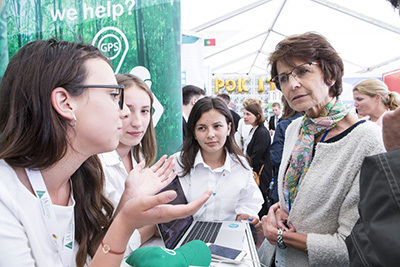 Entrepreneurship education can equip young Europeans with the knowledge, skills and attitudes that open doors to individual fulfilment and career opportunities in times of uncertainty and rapid change. The skills that make us uniquely ‘human’ – our ability to work with others, to be creative, and to persevere – will never become obsolete. In fact, they will become more essential for an innovative and inclusive society in the future. We need to have a real dialogue on these skills and I believe that an entrepreneurial mindset is key. We are working proactively with Member States and stakeholders, including JA Europe, to support the development of those skills across Europe. For instance, the Commission has developed the Entrepreneurship Competence Framework, which serves as a reference for any initiative aiming to foster entrepreneurial capacity, including the design of curricula and leaning activities and the assessment of individuals’ entrepreneurial competencies. JA Europe is among many stakeholders that have helped to build a dynamic and enthusiastic community around this framework. I see it as an excellent example of co-operation between employers, learning providers, and young people leading to impact across the EU. The invaluable experiences of students who do an entrepreneurship course, and especially those who experience hand-on practical activities, form the firm foundations for a more entrepreneurial Europe. We must ensure that the potential of these experiences are built upon and that entrepreneurial skills are recognised and developed in all education and training sectors as well as within the working age population. Entrepreneurship is no doubt one of the key competences for lifelong learning.